Probably most 97-year-olds would be tucked up in bed by 8.30pm, but not our engaging Guest Speaker, Mrs. Joan Baumber (nee Berwick). Joan is a most articulate and intelligent speaker, relating her very early years in Yea, and her schooling at Clarendon College Ballarat where Joan thrived. This set her up for a career as Senior Administrative Assistant to Corporate Managers in Melbourne for nearly 20 years. Her parents by this time had moved to ‘Courtney Park’, Murchison. A bit of successful matchmaking by Joan’s aunts brought her single life as a professional business-woman to a close when she married George Baumber. Joan put on the ‘wellies’ and soon learnt all about farming at Dhurringile. When widowed after 19 years of marriage and with two young children still at school, Joan ran the farm very competently. Her involvement in the community as part of many and varied Community Organisations, usually on the Executive, is a credit to Joan. Her love of music and talent at the keyboard, allowed her to contribute musically and she played the organ a Christ Church Murchison for 50 years! It was a delight to listen to Joan’s story. Anne Finlay thanked Joan for sharing her interesting life with us and presented her with a parcel of local products. Anne Finlay thanked Joan and presented her with a gift of local products. Kay Ball presented her report during the formal part of the Annual Meeting and related some encouraging statistics. Since 2011, over 35,500 people have accessed our website. Visitors to Heritage Centre during 2018 numbered 553 and included 11 groups. Highlights of the year: visit to Thomson’s Costume Collection in May; launch of the children’s book, Sam’s Meteorite in October; Art Captured awarded Best Local History Book in Victorian Community History Awards; co-hosting and catering for book launch of Noorilim: from wool to wine at Noorilim. Planning is progressing well for 50th anniversary celebrations of the fall of the Murchison meteorite to be held in September. Executive Committee elected for the coming year: President, Kay Ball; Vice President, Warwick Gregory; Treasurer, Jeff Huddle; Secretary, Marg Lock; Committee members, John Ball, Janet Clarke, Warwick Finlay and Gloria Polkinghorne. A scrumpcious supper followed the meeting. MURCHISON & DISTRICT HISTORICAL SOCIETY INC.
much to tell about early years in Murchison and Dhurringile. There are bus tours, walking tours and independent visiting to venues as well. Tours require booking – 5832 9730. As usual, this well attended and well organised event was a great success, starting at 8am with a free breakfast prepared by our wonderful volunteers from State Emergency Service. The weather was mild with a light breeze, ideal for enjoying the lovely swimming pool setting. 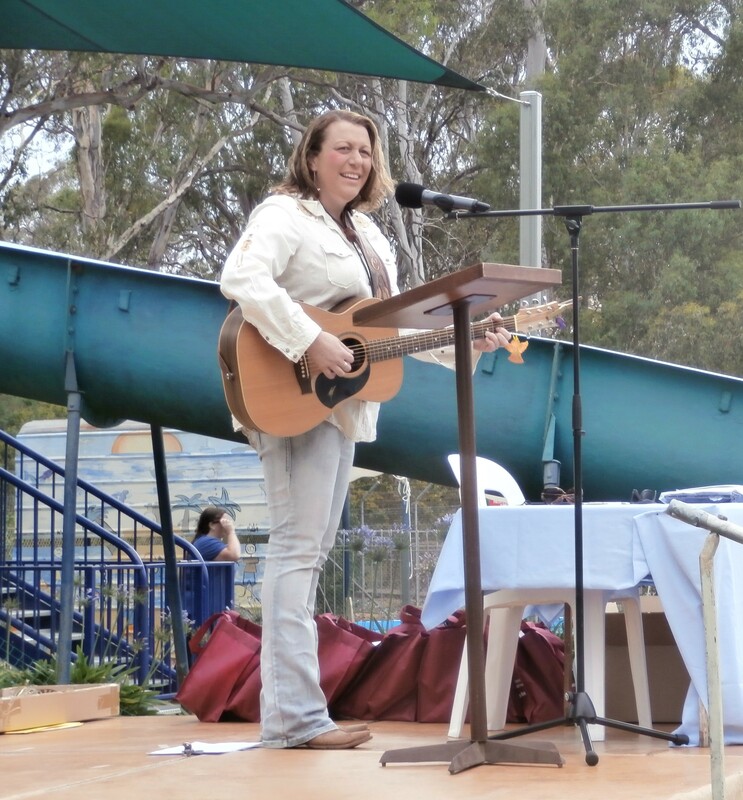 MC Bruce Smith did a sterling job keeping the programme moving, announcing lots of awards to our primary school children for their colouring and essay competitions, introducing dignitaries and our own talented musician Bec Hance who entertained us with guitar and songs. Our guest speaker was Dhurringile local, Sarah Niglia who has achieved so much, from running her own business to excelling in the teaching profession – an inspiring address encouraging any young person to aim for excellence, to attempt challenges and reap the rewards of striving to be the best they can be, which is incidentally, the motto of Murchison Primary School. 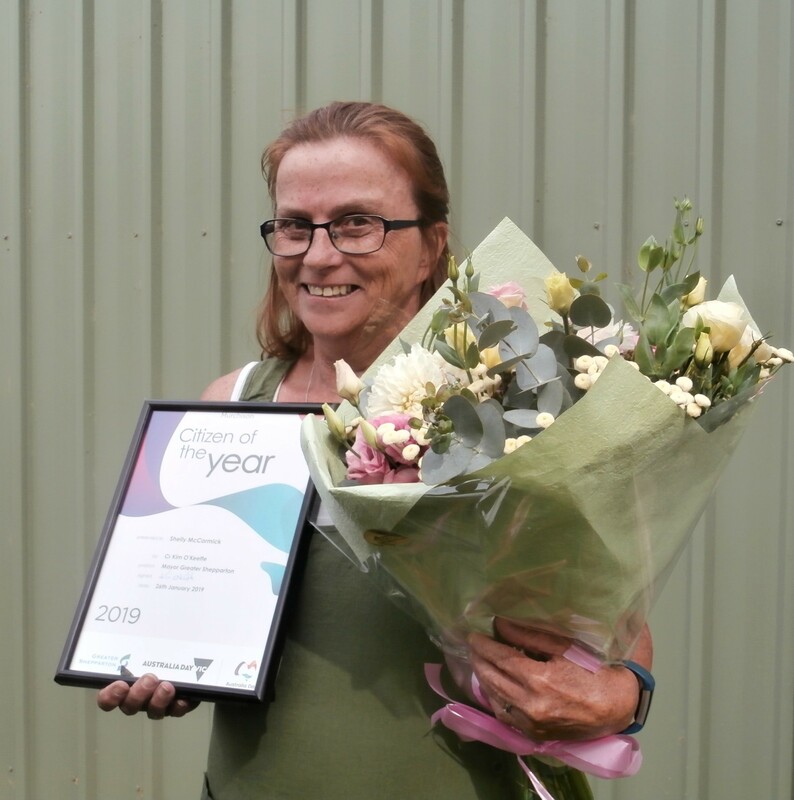 Murchison Citizen of the Year 2019 was awarded to Shelly McCormick, so well deserved for all the support and hard work Shelly has contributed to our town, from sporting organisations to service clubs and of course in her role as Business Manager at Murchison Primary School where she devotes her skills over and above the call of duty. Shelly is often the first to arrive and last to leave and has a wealth of knowledge that she draws on to respond to many requests from both staff and the wider community. We have an exciting year ahead celebrating the 50th anniversary on the 28th of September of the fall of the Murchison meteorite. 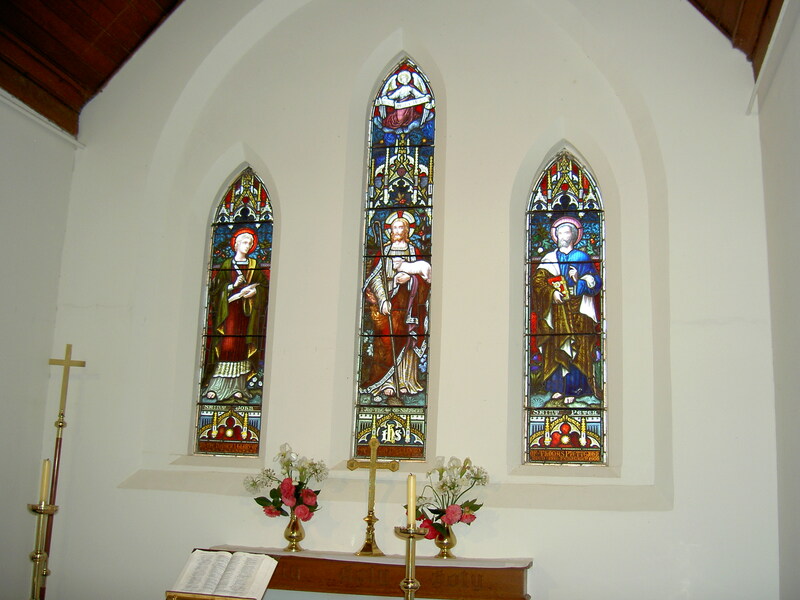 until the winter months – date of closing for winter will be advertised. or telephone 0475 018 743. Thank you. 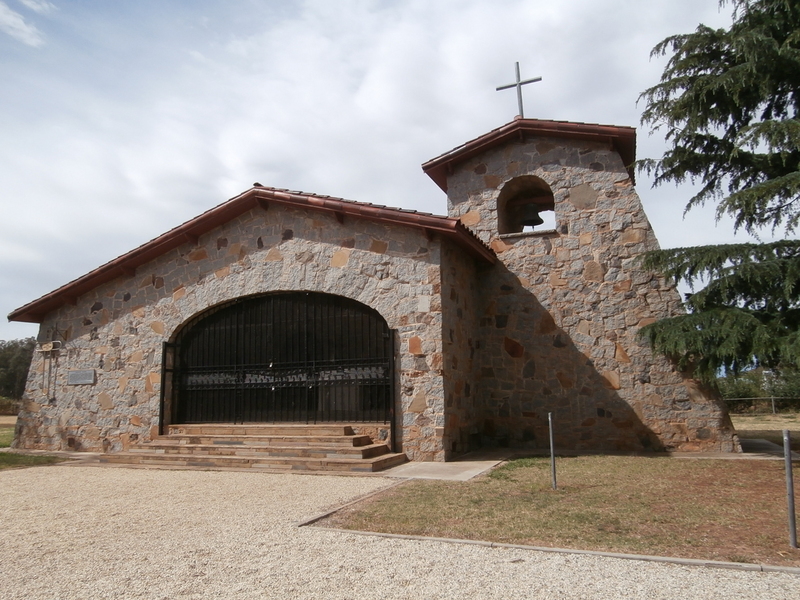 The Ossario, located in a quiet corner of the Murchison Cemetery was completed in 1961 and is a beautifully crafted Mediterranean style building. It contains the remains of Italian Prisoners of War and Internees who died on Australian soil during World War 2. Every year, on the second Sunday in November, hundreds of people gather to remember the 129 men and one woman for whom the Ossario is their last resting place. On Sunday 11th November this year, a warm sunny day with a lovely clear blue sky, the occasion was again well attended by over 300 people. Mostly of Italian descent, they travel from Melbourne, interstate, overseas and across Victoria and are joined by locals who appreciate this special occasion. 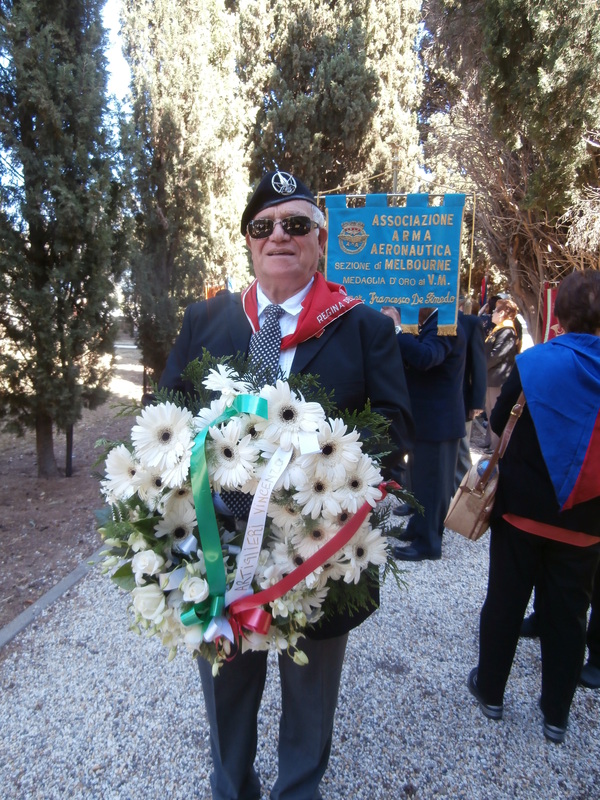 The ceremony is moving, suitably reverent and also colourful with many Italian Military Service uniforms, banners, flags, floral wreaths and bouquets in abundance. The Official Service begins with a procession along the cypress lined path leading to the Ossario. 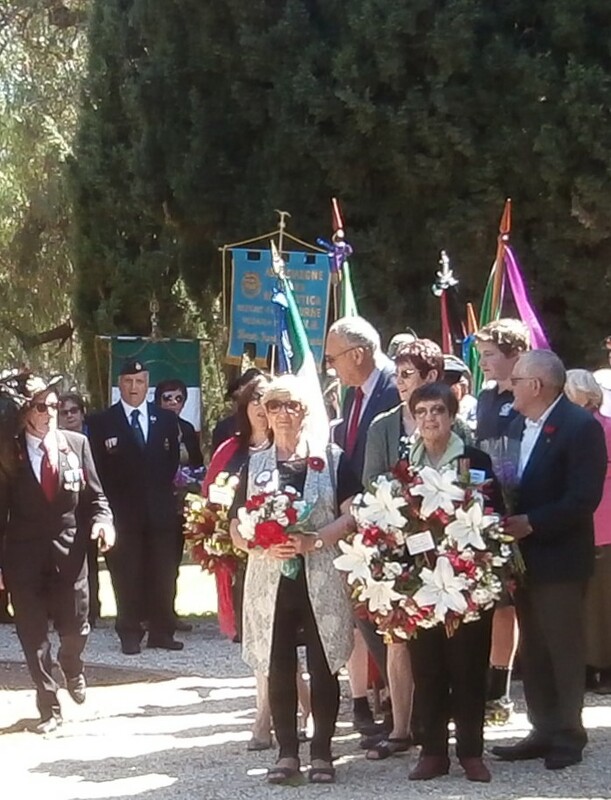 Officials such as the Italian Consul General, Councillors from City of Greater Shepparton, representatives of many Italian Service and Military Clubs, Australian Returned Service groups, local school children, representatives of the Murchison Lions Club and Historical Society are called forward to walk towards the monument in the forecourt where they lay their floral tributes, then gather on the steps of the Ossario building. This year I had the privilege of laying a beautiful floral wreath on behalf of the family of Nicola Evangelista whose family only recently discovered that his remains were housed in the Ossario. Joanne Tapiolas a Queensland author who recently published, Walking in their Boots telling the story of the Italian Prisoners of War in Queensland, organised the flowers for me from Avonlea Flowers, to place on the memorial. In the course of her research for the book, Joanne was able to locate Nicola in the Ossario at Murchison. The family, who live in Italy, only had knowledge from his war record that he had died in Australia but no more detail than that. To learn that his remains lie respectfully in the well cared for Ossario, and that each year there is a special memorial service, has given great peace to this family who have wondered about his whereabouts for over 70 years. After the laying of floral arrangements, the singing of the Australian and Italian National Anthems takes place. Everyone observes a thoughtful and respectful silence as the most moving and heart wrenching trumpet rendition of Il Silenzio, (The Silence) is played. I have to confess it brings tears to my eyes every year. Various dignitaries address the crowd with messages about the significance of the occasion and appeals for this sacred place and those it honours not to be forgotten. A Catholic Mass is held in the Italian language including the singing of hymns familiar to many non-Italian speaking who are also present. 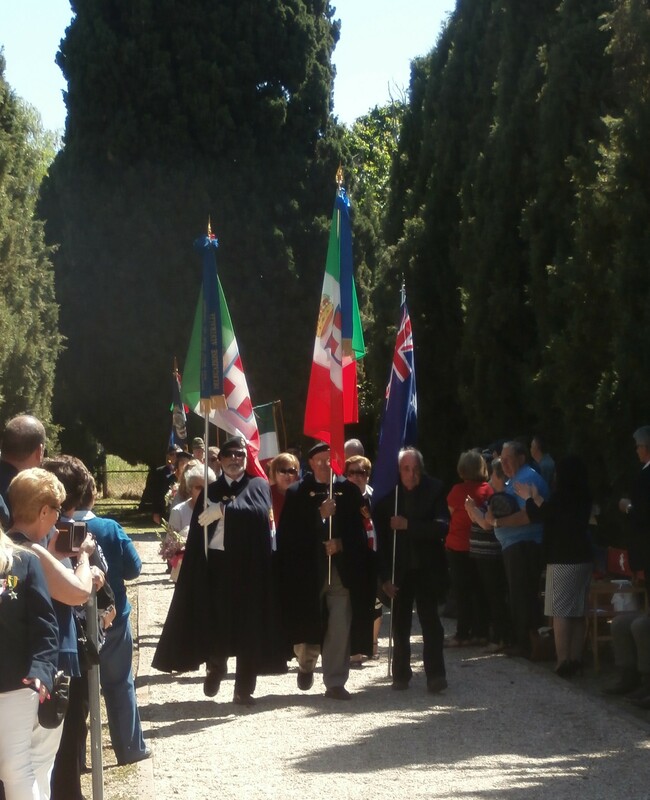 After the Ceremony is completed, those attending gather at the local Community Centre and in the Riverbank Gardens to enjoy lunch together and to be entertained by bands playing favourite Italian music and there is even some dancing! Over the years the older generation who attended in the 1960’s, when as many as 1,200 people were said to be present, have passed away or are no longer well enough to make the journey to Murchison. 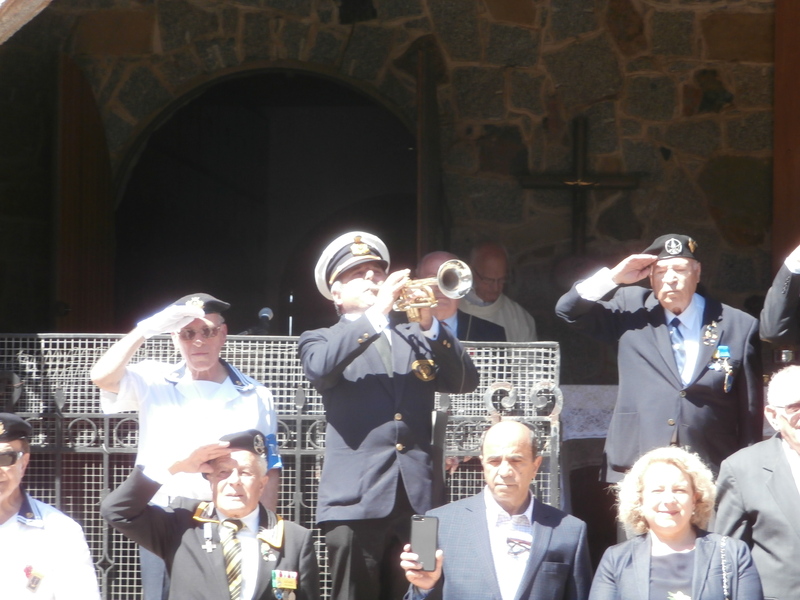 We can only hope that the younger generation, particularly with Italian heritage and family connections with those whose remains lie in the Ossario, continue with this important pilgrimage each year to attend the Memorial Service. October seems to have been a month belonging to book events! 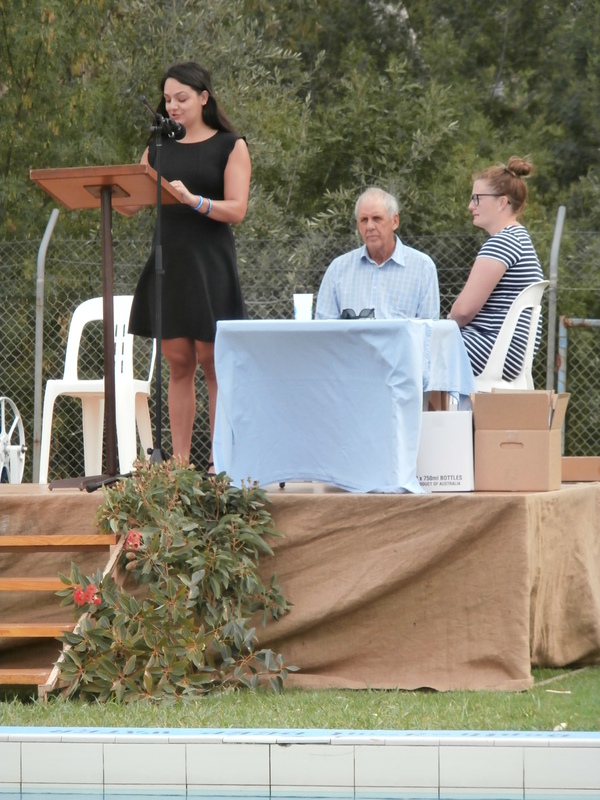 At a second launch on Sunday 28th October, in a beautiful country location appropriate for the new book, Noorilim: from wool to wine, author Jenny O’Donnell introduced her latest publication to Goulburn Valley residents and family descendants of the owners over the years of Noorilim Estate. All those attending enjoyed the benefit of a visit to Noorilim Estate and a delightful walk through the beautifully maintained gardens when the current owners, the Menzies family, opened the Coach House for the event. Afternoon tea provided by members of the Murchison Historical Society was also a treat. Very well received by all attending, the book relates the full account of the many owners and how they related to the holding of this notable property from 1840 to the present day. Many different uses, owners from varied walks of life, long and short tenures of the property and intriguing events are revealed through Jenny’s diligent research. Many people connected to the property had snapshots of the history of Noorilim relating to their own involvement but a comprehensive record such as Jenny has compiled was not in existence and it is wonderful to have such a complete account of the property’s long history. The mansion, built in 1878, is in stunning restored condition and meticulously maintained as are the surrounding park-like grounds. It is currently possible to visit Noorilim for tours as well as for functions and arranged events. The publication consists of 128 pages A4 size and has many colour images, maps, and photographs. Books can be purchased for $25. 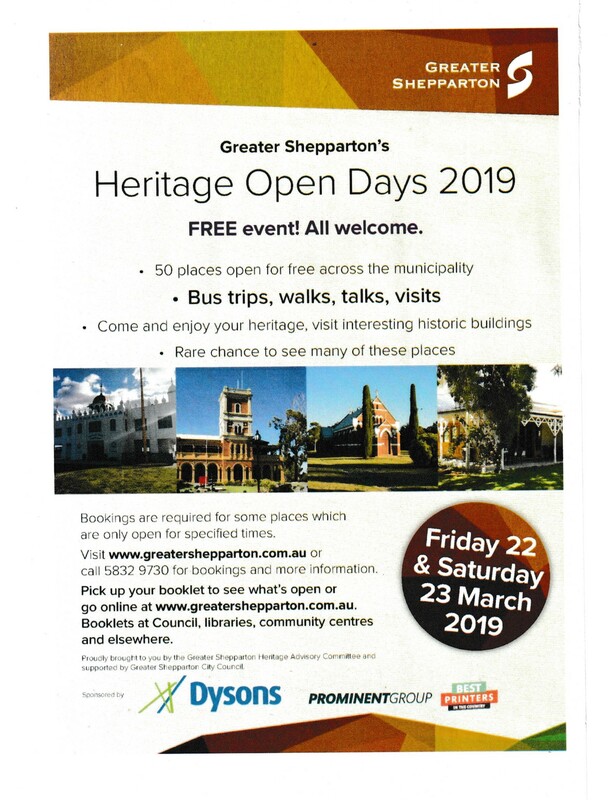 at Murchison Heritage Centre, Stevenson St, Murchison (open Saturday mornings 10 am – 12.30 pm, at Noorilim Estate, 205 Wahring-Murchison East Rd, Wahring (see website for open times) and Royal Historical Society, 239 A’Beckett St, Melbourne (open Mon – Fri).